Myiarchus nuttingi Ridgway, 1882. Monotypic. 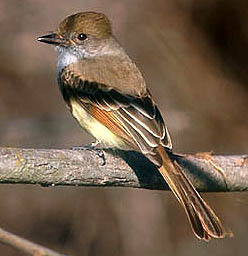 English: Pale-throated flycatcher; French: Tyran de Nutting; German: Blasskehltyrann; Spanish: Atrapamoscas de Nutting. 7.25 in (18.5 cm). 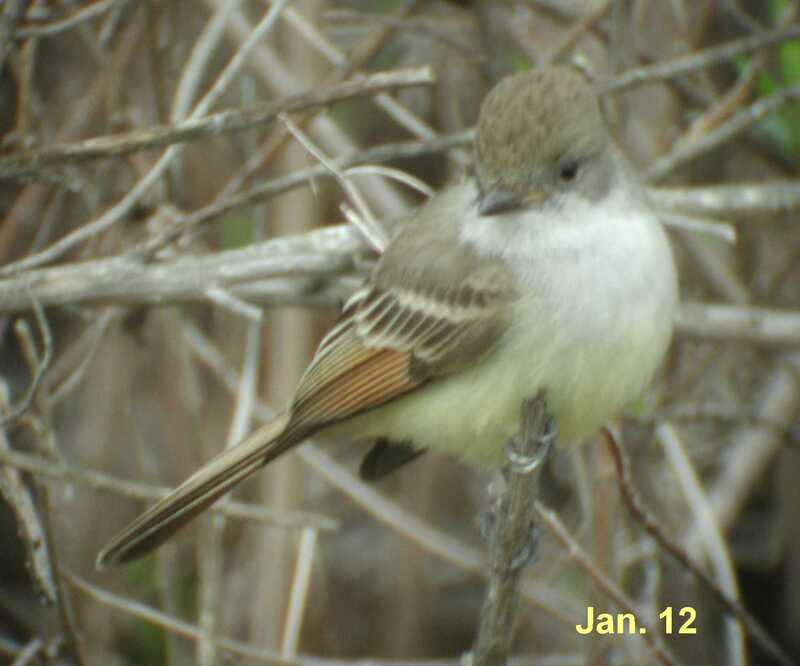 Plumage includes a dark gray crown (sometimes with a tinge of cinnamon), olive-brown upperparts, two white wingbars, wing coverts and secondaries edged with white, cinnamon-edged primaries, dusky central tail feathers, yellow belly and undertail coverts, and pale gray throat and breast. Interior of mouth is orange. Sexes are similar. 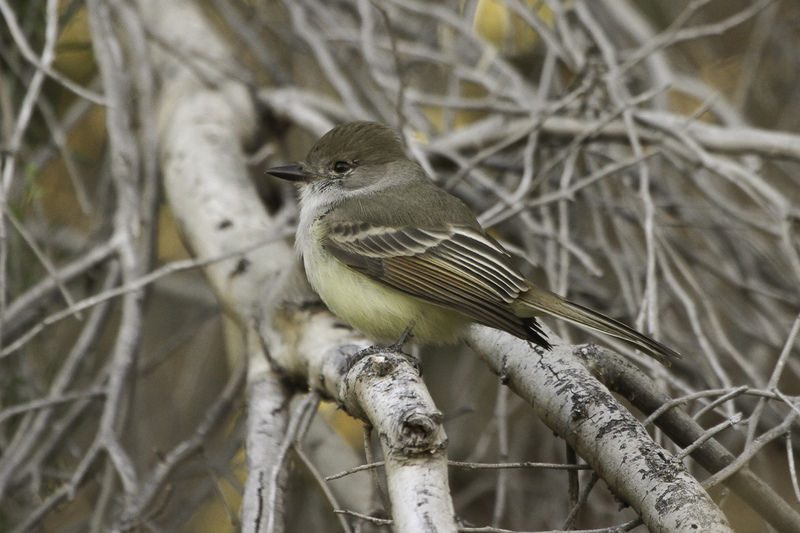 Almost identical in appearance to ash-throated flycatcher (Myiarchus cinerascens); distinguishable in the field only by song. Western Mexico to western Costa Rica; accidental to southeastern Arizona. Prefers semiarid deciduous slopes and thorny thickets. Eats insects and some berries. 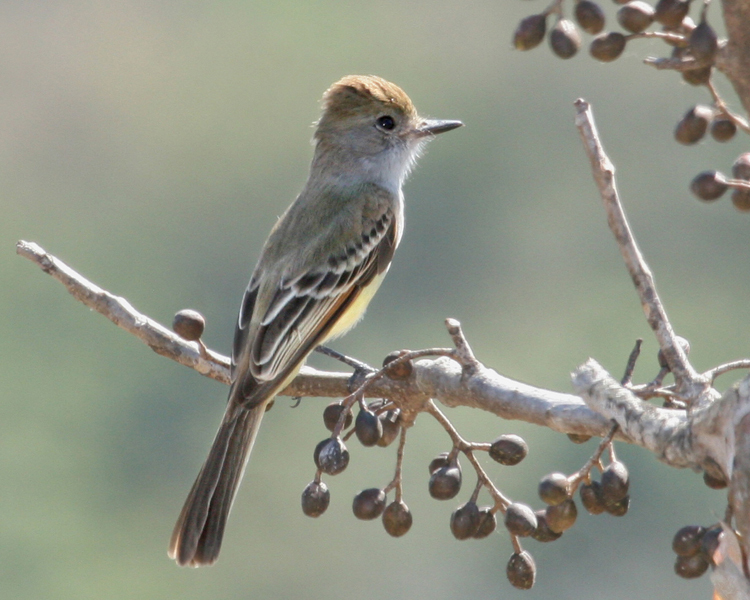 Most often snatches prey from foliage while hovering; also hawks prey in midair and returns to perch. Monogamous. Nest is built by both sexes in a preformed burrow and lined with grasses, rootlets, weeds, and feathers. Female incubates one to two clutches of three to five eggs per year for 14 days. 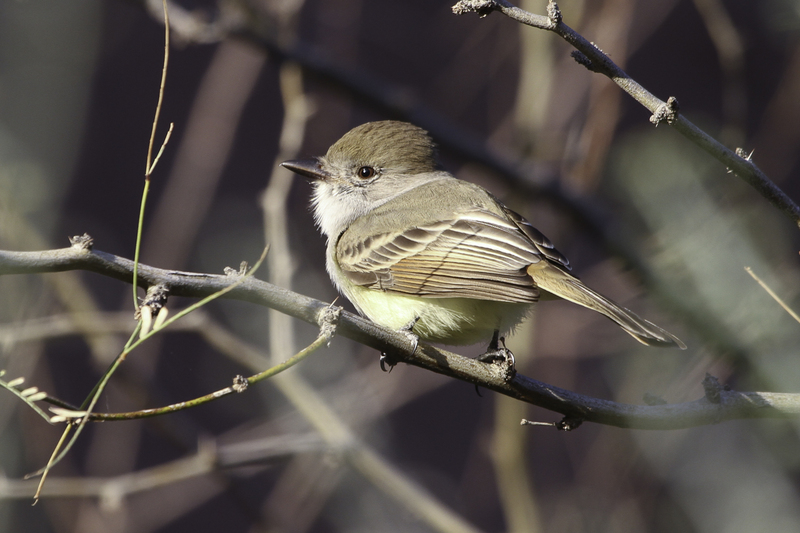 Young are fed by both parents and fledge at 14 to 16 days.